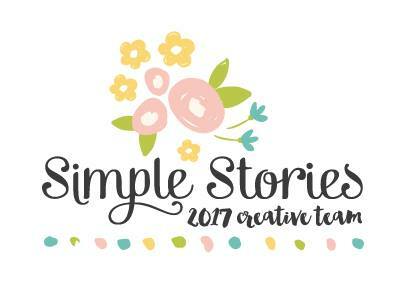 I love this new collection from Simple Stories called Carpe Diem. 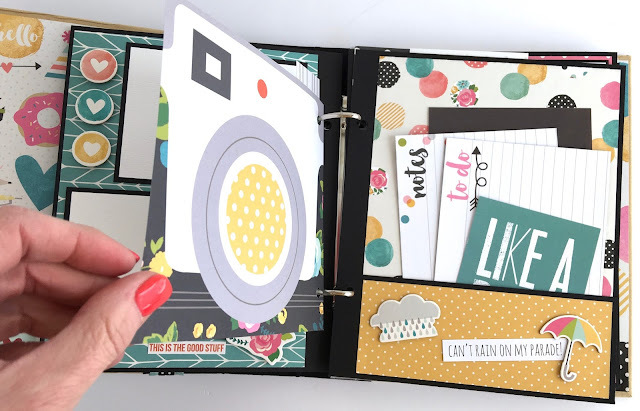 I've incorporated lots of pieces from the collection into our newest scrapbook album kit that's perfect for everyday memories, family and friend photos, or a book all about you .... here are the details! This album is available as a DIY kit or pre-made and will make a wonderful keepsake for photos of friends and family, selfies, college life, everyday memories, and so many other occasions. The album measures slightly larger than 6x8 inches, and includes 12+ scrapbook pages, 4 fun shaped pages, 8 divided plastic photo sleeves, and a large envelope for memorabilia. Gorgeous paper and embellishments, tags, fold out pages, pockets -- these are just a few of the things that adorn the 12 pages of this beautiful album. 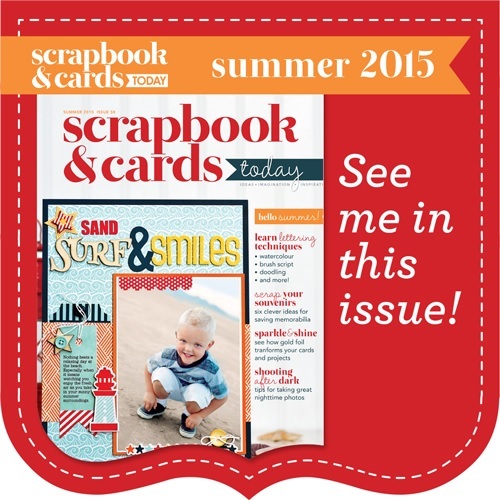 The cover is covered with fabulous paper and embellishments by Simple Stories. The pages include two pockets, a fold-out page and more so that at least 25 photos can be added throughout the book, and many more can be saved in the plastic sleeves. I always create my albums so that photos can easily tuck under embellishments, and I always use only acid-free, photo-safe supplies. The title on the cover says "Carpe Diem: Your Life is Your Story. Write Well. Edit Often." and other pages say "Work Hard; Play Hard", "Hello Weekend", "Live Colorfully", and "Can't Rain on My Parade" ... just to name a few. This album would make a wonderful gift for a family member, friend, or co-worker. 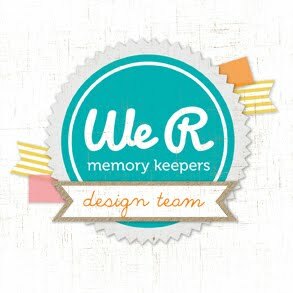 The theme is very general ... everyday life ... so lots of photos and memories can be saved here! 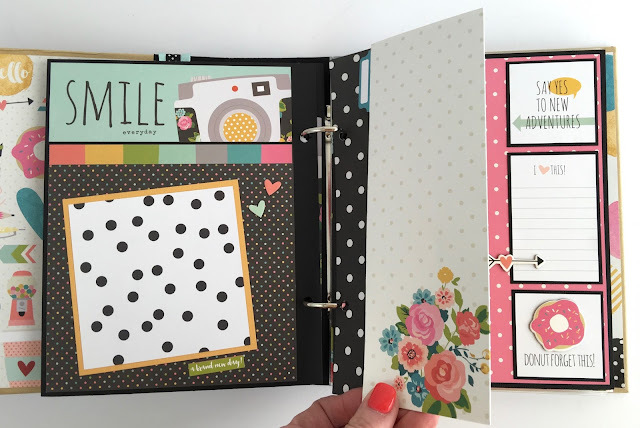 The pre-cut scrapbook kit includes all of the materials and instructions to make this beautiful mini album! 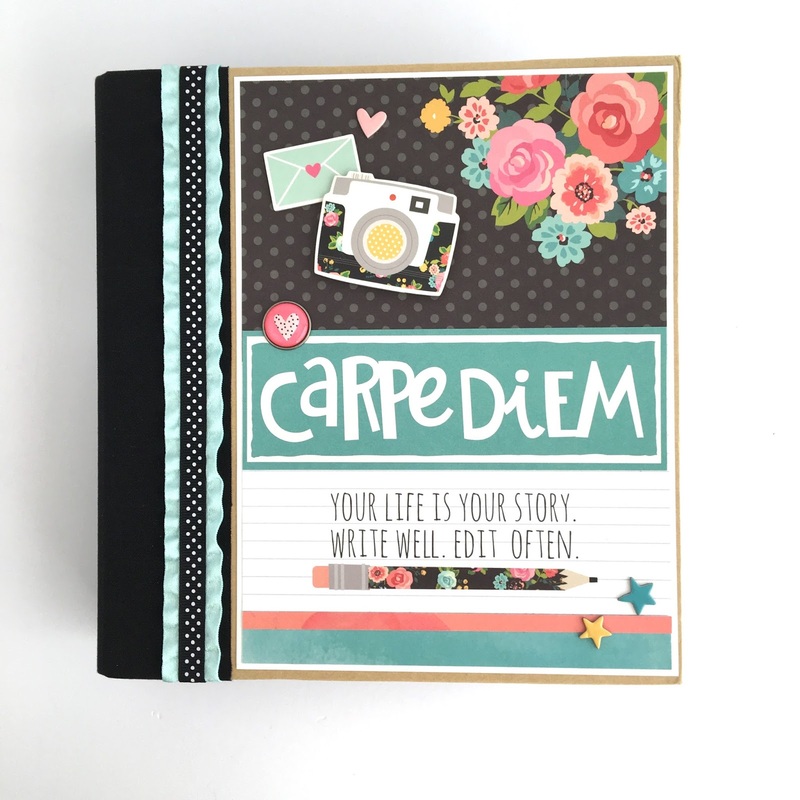 Place your order for the "Carpe Diem" Scrapbook Album Kit here! Love this album but I live in the UK and was wondering if you sell the instructions to download. Hello -- thanks very much :) I don't sell the instructions until after all of the album kits are sold out, so if you would like to check back with me, I will let you know when they are sold. 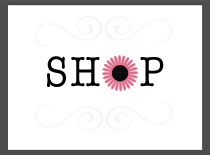 I do ship kits to the UK all the time if you are interested. Hi Traci just wondering if the instructions are available yet for this album.